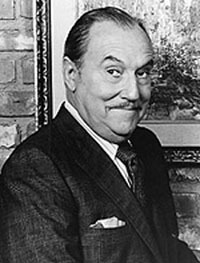 The Great Gildersleeve receives a lot of notice for being the first successful "Spin-off" program, where a character from one show leaves and a new program is built around them. While this is certainly true, there is much more to the show than that. The show was well acted, well produced, and well written. It was everything that long time sponsor Kraft Foods could have wanted, because audiences returned to it every week from 1941 through 1954. The program was centered on Throckmorton P. Gildersleeve. Gildersleeve (the Great Man himself) came from the Wistful Vista of Fibber McGee and Molly. When he got his own show it enjoyed almost as much success as its parent program, although it was really a much different type of program. The Great Gildersleeve was a happy endeavor where great talent met with great writing. 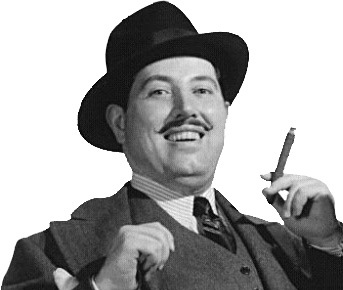 Gildersleeve was invented by actor Harold Peary, who would play him through most of the character's life. However Gildy would also spend time under the stewardship of Willard Waterman. Leonard L. Levinson held the pen during the first season, and created most of the characters that filled Gildy's hometown of Summerfield. However, under the writing of John Whedon the show truly came to life. Whedon would get credit for partially serializing some of the situations in Gildersleeve's life. Gildersleeve had to deal with a new family, Marjorie and Leroy, and try to raise them to be model citizens.In this he was sometimes aided by his feisty housekeeper, Birdie Lee Coggins. Outside the home Gildersleeve had many love interests and a circle of friends, The Jolly Boys Club, that kept him close to the earth. Episodes of The Great Gildersleeve can be enjoyed at Old Time Radio.